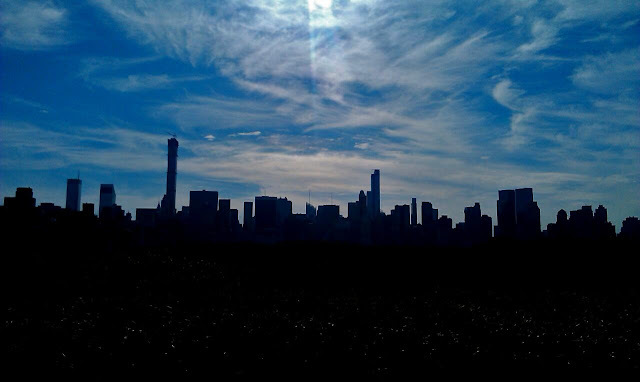 Silhouette of a city skyline with a blue sky in the background. 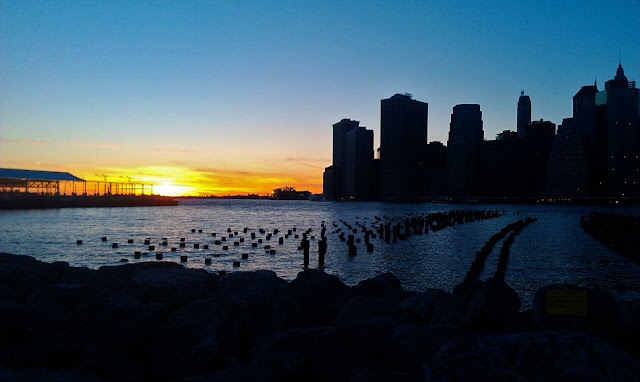 A city silhouette of a waterfront, with the golden sun. The dark blue of the sky and water can be seen contrasting against the black silhouetted high rise buildings. 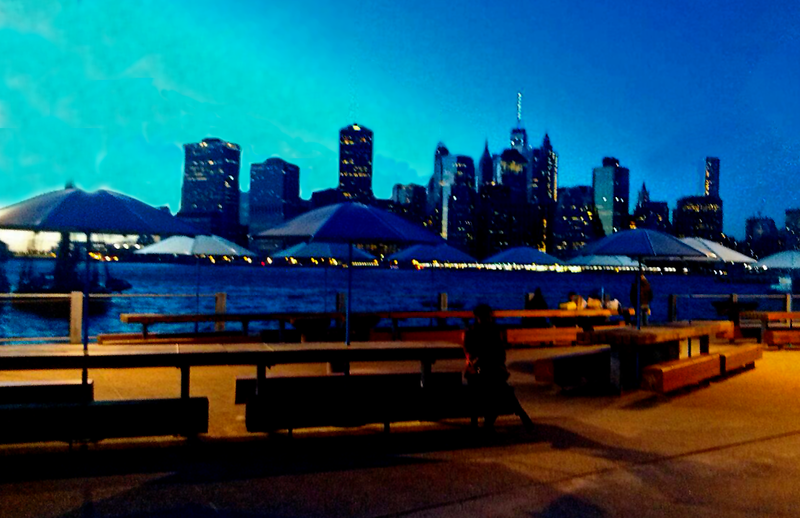 A color silhouette of the waterfront. Lighted buildings in the background. 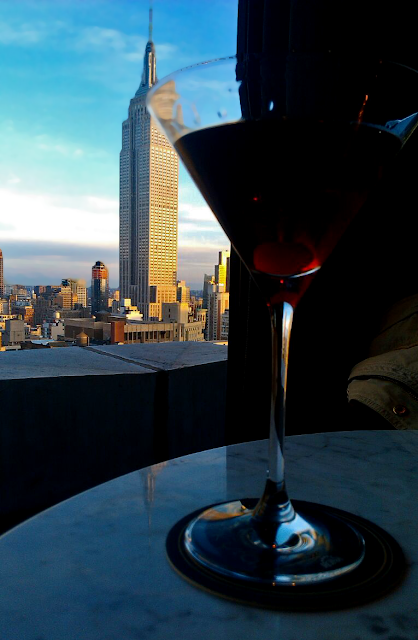 A wine glass silhouetted in the foreground with the Empire State building in New York in the background. 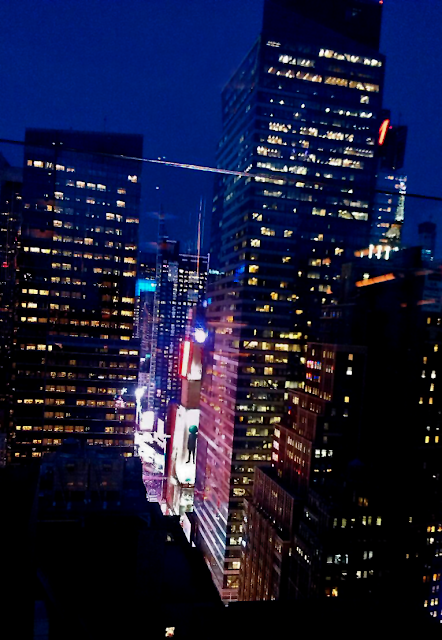 Lighted city streets at night.